The struggles of wildlife in the Cairngorms are to become a year-round focus for BBC show Winterwatch, with presenters returning throughout 2019 for follow up filming for Springwatch and Autumnwatch. Yesterday, Cairngorms Connect spoke of their delight. A spokeswoman said: “We are really excited that this year’s BBC Winterwatch, Springwatch and Autumnwatch programmes are all being based in the Cairngorms National Park in 2019. “We are delighted that the Watches have decided to feature the work of Cairngorms Connect, the UK’s biggest habitat restoration project which covers 60,000ha and some of Britain’s most spectacular habitats and species. 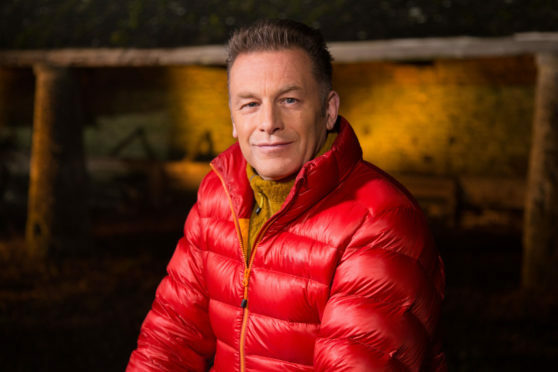 Presenters Chris Packham, Michaela Strachan and Gillian Burke will visit the Highland national park with tabs being kept on the vast wildlife, from golden and white-tailed eagles to red squirrels and pine martens. Cairngorms Connect is seeking to implement their 200-year vision to help rare and threatened species that call the area, and its ancient Caledonian pineforest, vast moorlands and wetlands, and dramatic mountains, home. The Group, in partnership with Wildland Limited, Scottish Natural Heritage, Forest Enterprise Scotland and RSPB Scotland, are currently expanding the forest, restoring floodplains and repairing bog habitats in a bid to aid the wildlife in the area.